Streamline operations and boost productivity by using PowerTrack mobile software to automate your paper reporting requirements. 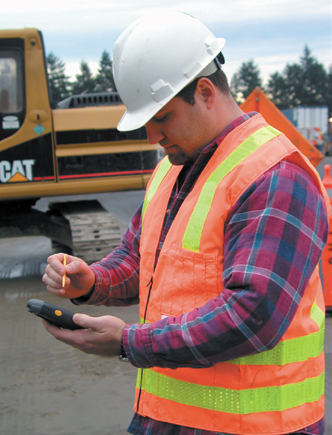 Using rugged handheld terminals, your supervisors can submit their daily field reporting data faster, easier and more accurately. PowerTrack consists of a PC server application and client software running on Microsoft Windows Mobile remote devices, laptops or PC workstations. The system can be set up using a wireless network or WAN (such as Verizon or AT&T) for rapid data delivery, or with batch communications.